Added the below image and caption to the Trombone History Timeline (16th century). 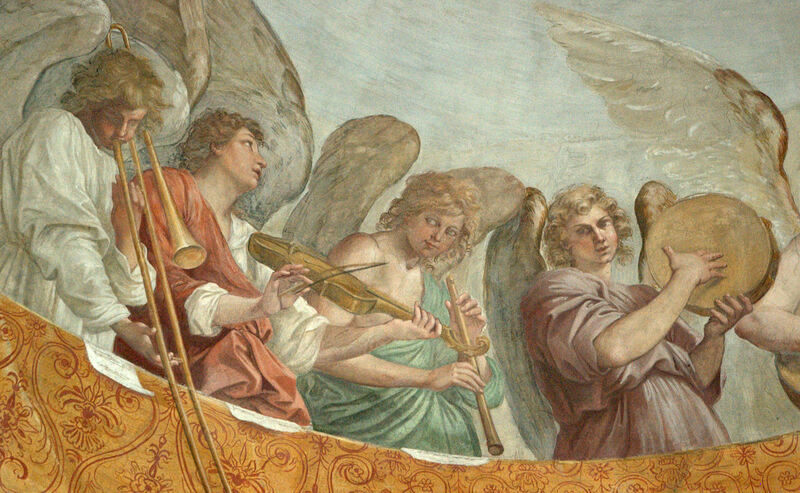 I have also included it in the collections, Angel Trombonists throughout History: 88 Images and How to Hold a Sackbut: The Grip of the Early Trombone in 79 Pictures. 1589—Strasbourg, France: Martin Braun, a wealthy merchant, adds new upper floors and commissions carvings and paintings for Maison Kammerzell (also known as Kammerzellhaus), a famous half-timbered building across from the Strasbourg Cathedral. 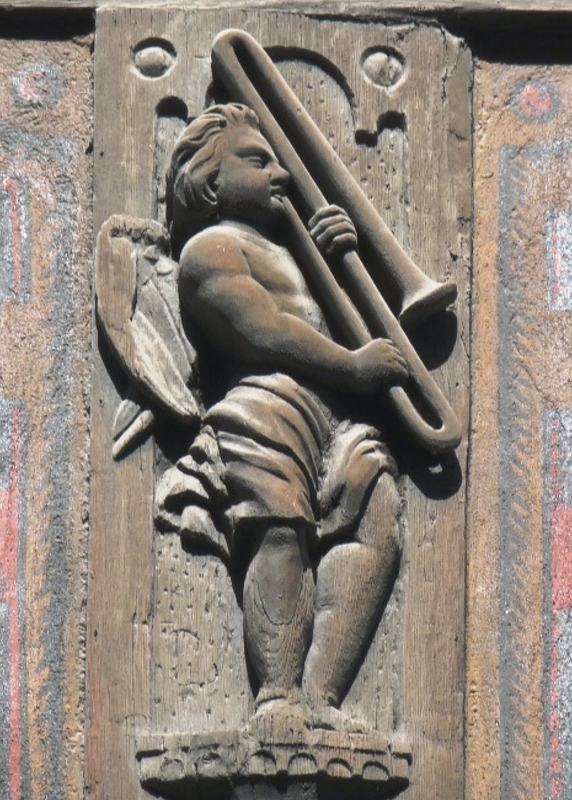 Among the numerous outside carvings of musicians—some with wings, some without—is an angel playing the trombone. Like many works of art of such age, the current carvings are the result of multiple restorations (see below image; public domain) (Pudlowski 50; special thanks to Valentin Guérin).